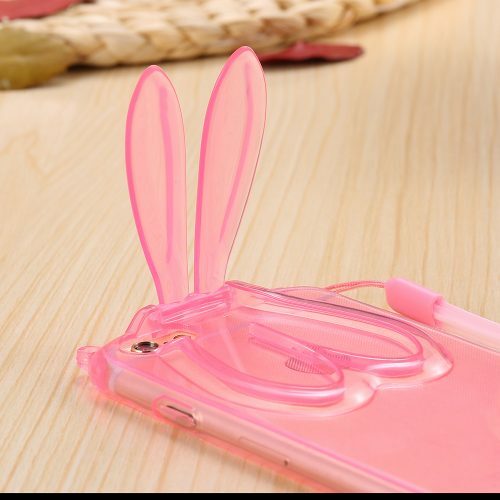 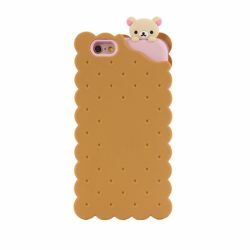 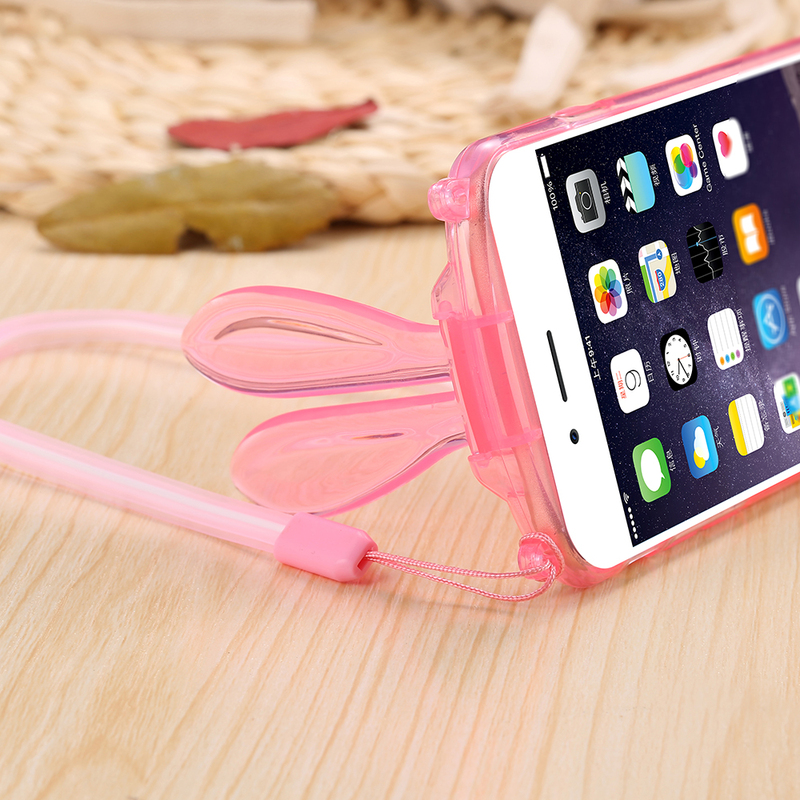 Protect your phone with this adorable pink rabbit iphone case that also works as a phone stand! 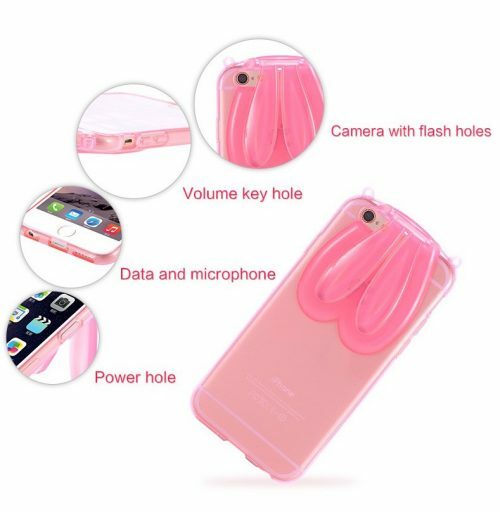 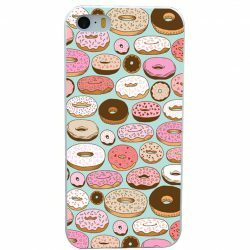 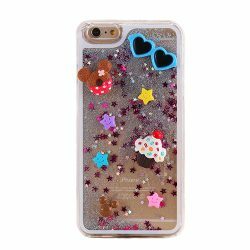 It’s made in a soft silicone which doesn’t let it crack if it falls on the floor. 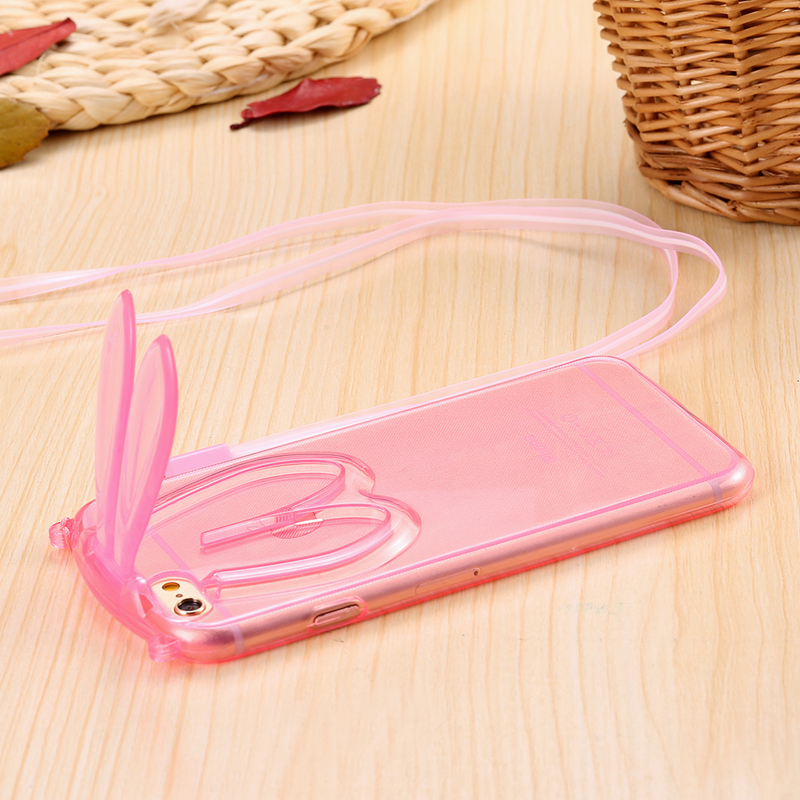 Transparent pink and super thin.